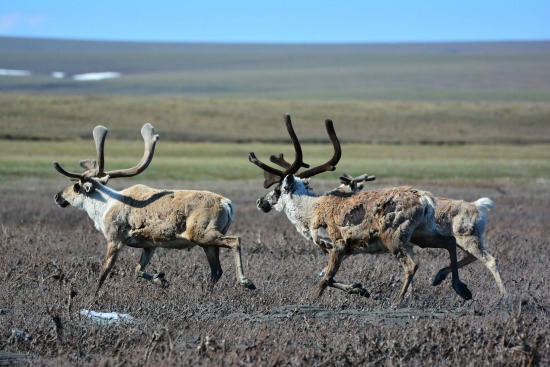 The U.S. Senate could soon vote to fund the federal government by opening the Arctic National Wildlife Refuge in Alaska and our protected coastlines to reckless fossil fuel development. This dangerous and destructive budget bill would sacrifice coastal communities, imperiled wildlife like polar bears and whales, and our climate — all to boost oil industry profits and help pay for President Trump’s proposed tax cuts for the richest Americans. Tell your senators to strip any provisions from the federal budget that could open America’s coastlines and the Arctic Refuge to fossil fuel companies. The Senate could soon vote to fund the government — and tax breaks for the rich — by opening the Arctic National Wildlife Refuge in Alaska and our protected coastlines to reckless fossil fuel development. Use the form below to email your senators demanding that they strip any provisions from the federal budget that could open America’s coastlines and the Arctic Refuge to fossil fuel companies. Dear Senator: I oppose opening the Arctic National Wildlife Refuge in Alaska, and more of America’s coastlines in the lower 48, to oil and gas companies. I urge you to strip all provisions encouraging drilling in these locations from the federal budget that may be voted on in the Senate. Please defend our communities, our natural heritage, and our clean energy future, and do not side with big polluters. Thank you.